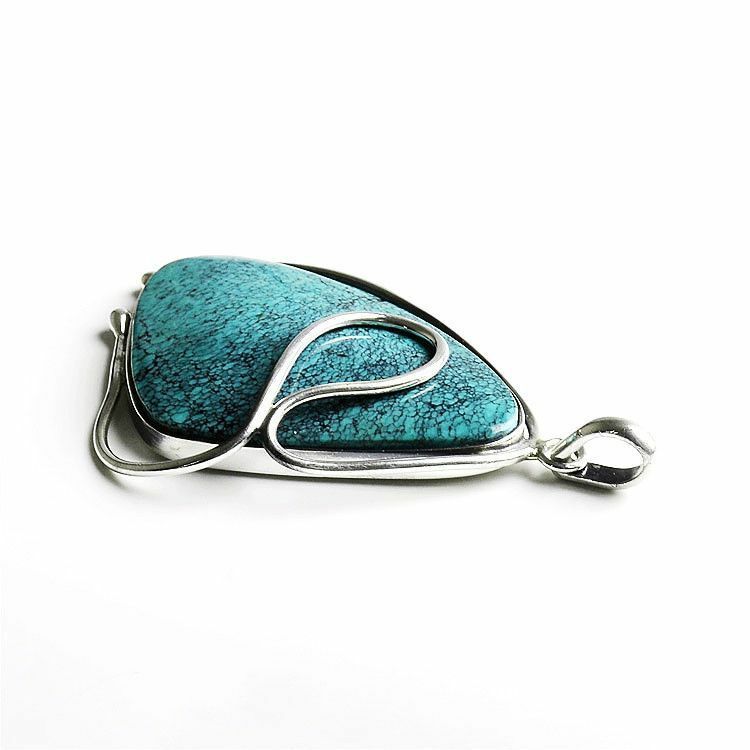 Natural turquoise and sterling silver have never looked so good together! 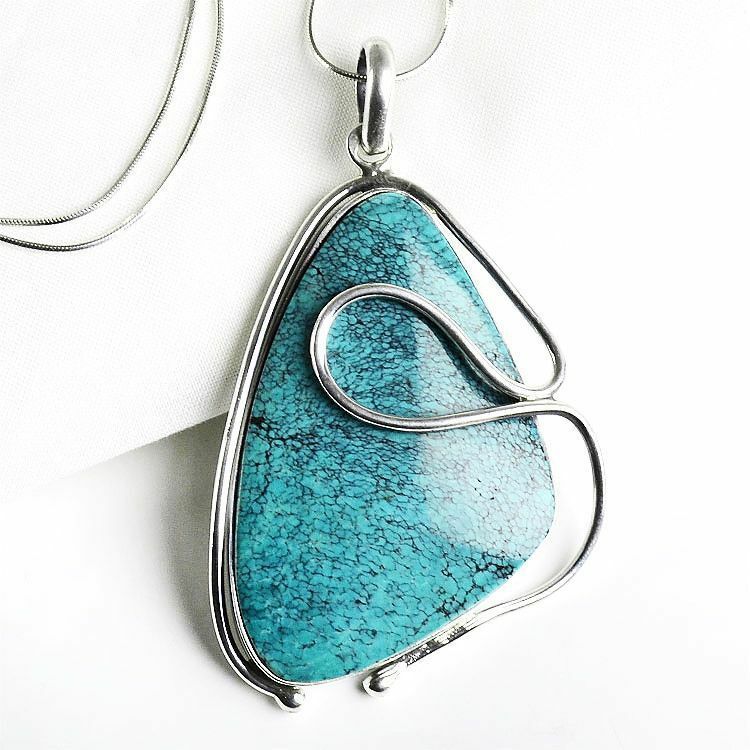 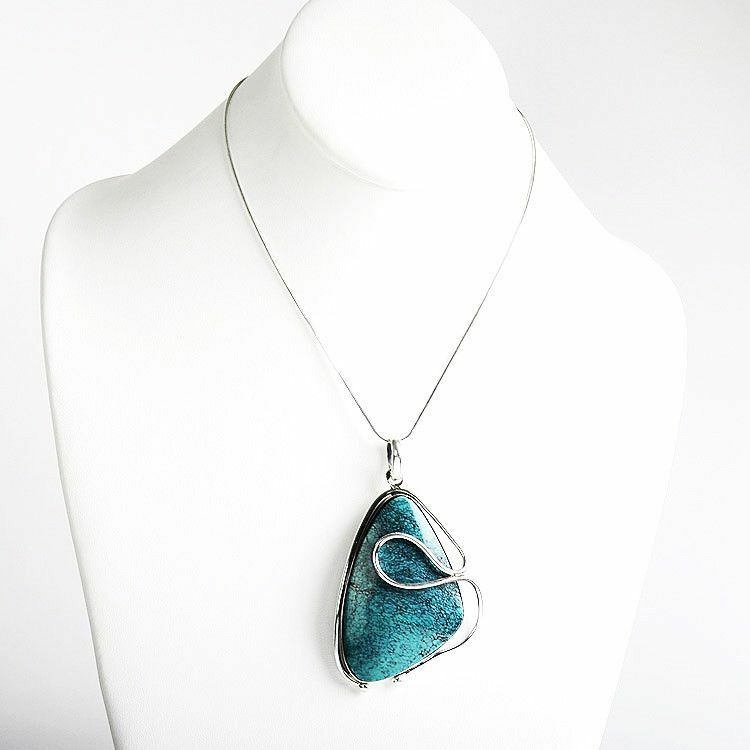 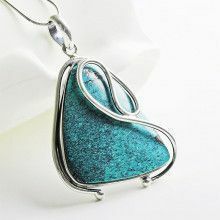 This large 3" x 1 7/8" pendant features swirls of sterling .925 silver holding an authentic turquoise stone. 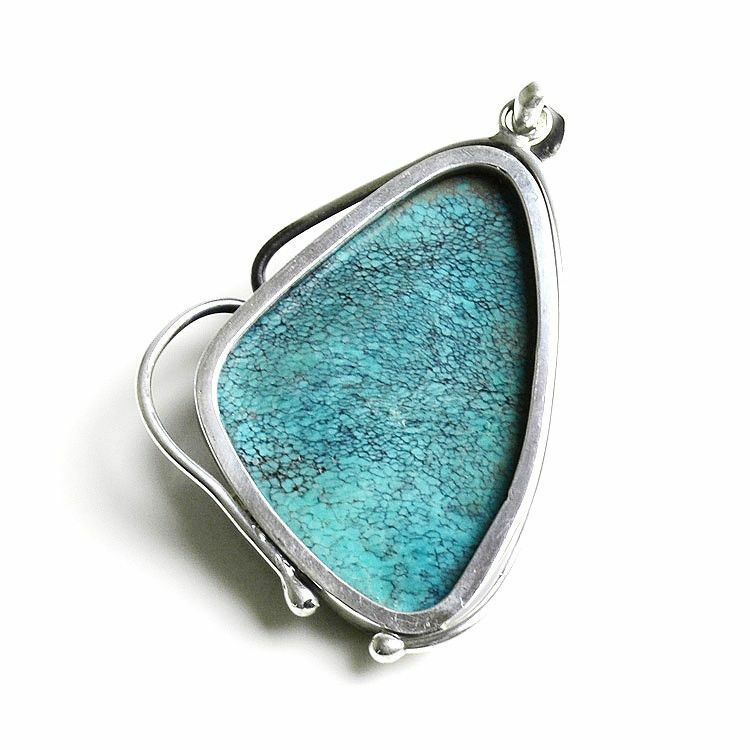 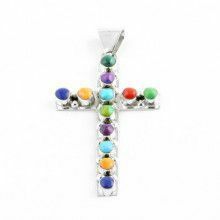 Add this pendant to your jewelry collection and get ready for the "wow factor!" 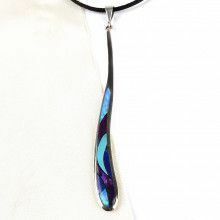 Measures about 3" x 1 7/8"